An article in the Michigan Farm News about the dramatic decline of Eastern Monarch butterflies in the U. S. got my attention recently. It detailed how the population of this iconic insect has fallen from an estimated 1 billion to maybe 80 million in less than three decades due to habitat loss. The point with this decline is that the key habitat for Monarchs is common milkweed, a plant that used to be found in abundance in fence rows, wood lands, pastures and other non-crop areas throughout the Midwest. Without milkweed, the Monarch is doomed. Scientists have determined that milkweed is no longer in abundance because of farming practices associated with GMO crop production, which depends upon three or four applications of glyphosate each year to control weeds. Milkweed is highly susceptible to glyphosate. During the 1970s, U.S.D.A Secretary of Agriculture, Earl Butz exhorted farmers to “plant fence row to fence row,” and to “get big or get out.” Many farmers followed that mantra, and overproduced themselves into bankruptcy in the 1980s. The survivors continue to get bigger. Fast forward to 2018. Now there are very few fences in Midwest farm country, because cattle and hogs are fed in confined feeding operations. On most farms, fence rows are gone too, with corn rows ending with only a GPS coordinate separating the corn from an adjoining soybean field. Those ten-foot strips of land, that used to divide one field from the next, provided habitat for a diverse mix of plants, insects, birds, reptiles and mammals. But they have fallen to the efficiency of making every square foot of field available for crop production. The decline of Monarch butterflies is probably not the most important concern for of most large scale 21st Century farmers. They are now busy planting corn, soybeans, spring wheat and cotton with a million dollars worth of tractors, mega row planters, seed tenders and trucks. They will follow up applying herbicides to emerging weeds with half million dollar monster sprayers for two or three passes during the growing season, and harvest the crops with $600,000 combines and cotton pickers. During the growing season farmers are trying to figure out how to make a profit on crops that cost them $700 or $800 per acre to grow, as they watch markets offering them break even prices or less for what they produce…If politics don’t spoil the export markets. The Monarch’s plight masks the true environmental problem with our current farming practices. In addition to possibly losing butterflies, hundreds of other important pollinator species are also at risk of disappearing. If a portion of an estimated 4,000 species of wild bees, along with moths, beetles, flies, birds and mammals are lost, we will also lose the diverse plants that depend upon these pollinators for assuring seed production. Replacing the wild bees with domestic bees sounds like a solution, but research indicates that domestic bees pollinate only 15% of the plants important to humans. While we can ramp up the number of domestic bees like any other livestock, we likely can’t replace the niche filled by wild bees, beetles and flies by domestic bees. The Farmers For Monarchs collaboration was launched at the February 2018, Commodity Classic in hopes of heading off action by the U.S. Fish and Wildlife Services to list the Monarchs as an endangered species. This organization, https://www.fb.org/newsroom/farmers-for-monarchs-collaboration-announced-at-commodity-classic hopes to head off action by the U.S. 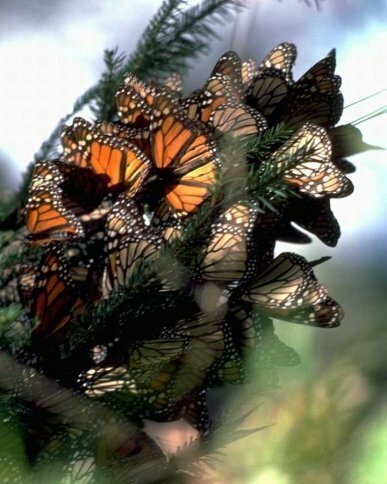 Fish and Wildlife Services to list the Monarchs as an endangered species if populations don’t recover by June of 2019. An endangered species listing for the Monarchs could impact agricultural production on a huge chunk of the country east of the Rocky Mountains. 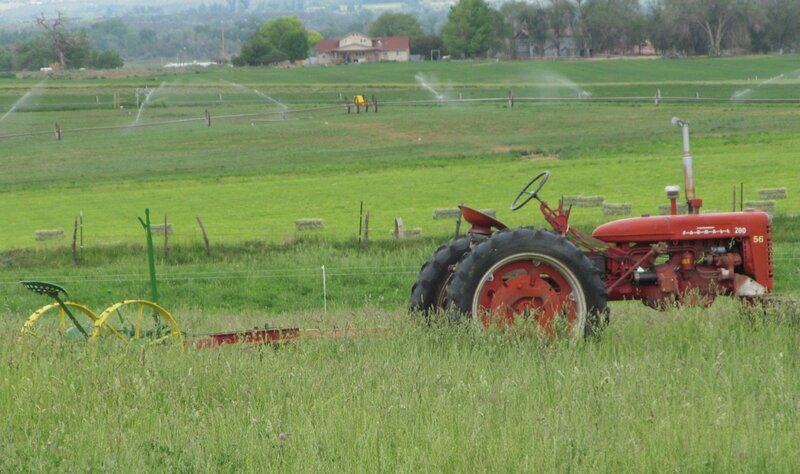 Farming practices like spraying and mowing weeds, tillage, grazing or other practices that might affect Monarch habitat would be restricted. In the future, it may get harder agriculture to hide behind mantras such as “Farmers, the original environmentalists”, and “American farmers feed the world,” if our farming practices continue to decimate pollinator populations and we lose the diversity of agricultural crops we now enjoy.